Welcome to Marietta Gardens. Thank you for visiting our website. 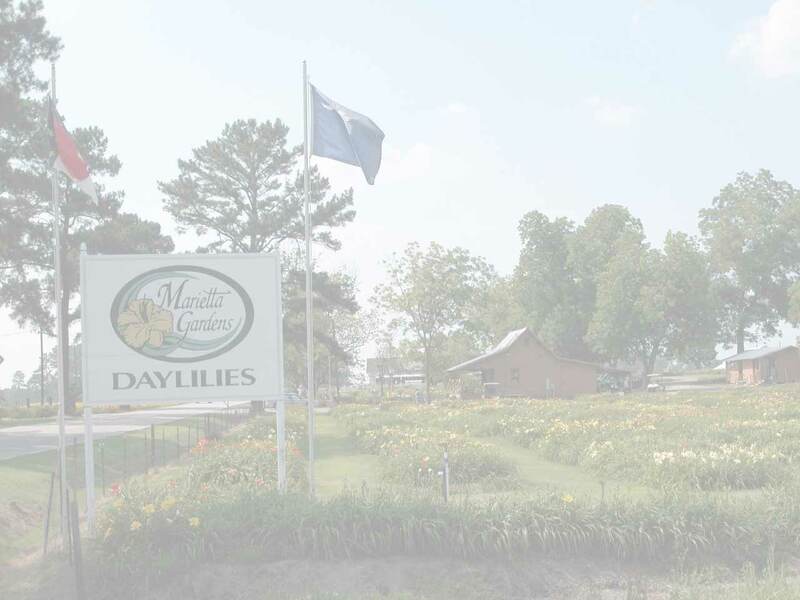 We invite you to enjoy our newest daylily offerings from Elizabeth Shooter, Faye Shooter, and Dale Hensley. In order to optimize our Website and Shopping Cart, ONLY use FIREFOX or INTERNET EXPLORER as your browser, NOT GOOGLE CHROME.. If you encounter issues with our shopping cart, please call (910) 827-9791 and leave a message or email mariettagardens@bellsouth.net. We will return your call or email ASAP.